Midtown Central features a collection of 35 modern homes that boasts spacious layouts and rooftop decks in the dynamic Mount Pleasant community. Already 80 per cent sold, the development by PortLiving offers beautiful penthouse suites and townhomes, ranging in size from 854 square feet to 1,630 square feet. Located on the prime corner of Broadway and Fraser, Midtown Central offers unparalleled access to the best of Mount Pleasant living. Surrounded by beautiful tree-lined streets and parks, residents can enjoy the neighbourhood’s beauty by bike or on foot. The vibrant community is packed with an abundance of restaurants and boutiques, along with nearby schools and grocers. Within a short walk, residents can access recreational activities at The Mount Pleasant Community Centre. From Midtown Central, residents can easily travel around the city and into downtown Vancouver. Midtown Central is PortLiving’s fourth project in the community, following the success of Vya, Midtown and Midtown Modern. 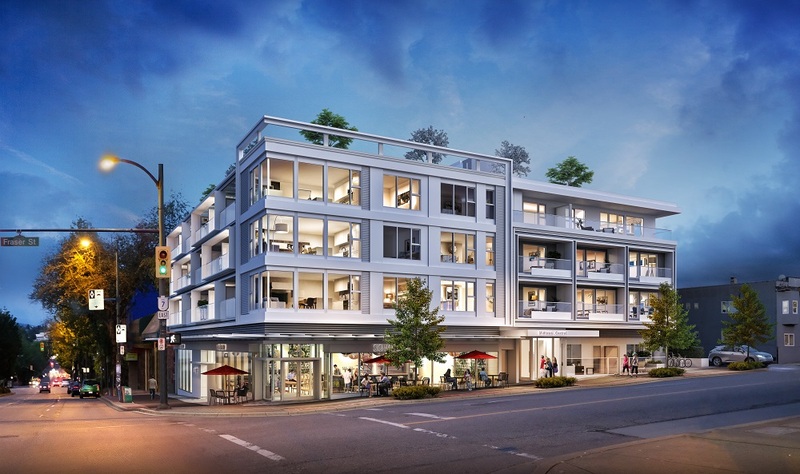 Designed by Vancouver-based Studio B Architect, the four-storey development includes a modern monochromatic palette that exudes a timeless aesthetic. Midtown Central is designed for heightened liveability with intricate details, such as aluminium frames that surround the balconies and expansive windows to frame your view. The penthouse and townhome collection feature open layouts that seamlessly transition into outdoor spaces, including private, spacious rooftop decks that overlook the city — a rare commodity in the Mount Pleasant community. The two-bedroom townhomes also include a lower level basement storage area, an ideal space for a den or games room. For added space and convenience, Midtown Central offers secure, underground bike and storage lockers. Crafted by Hungerford Interior Design, the functional and innovative interiors maximize living space. The homes boast soft wood detailing and geometric shapes throughout, along with wide-plank hardwood flooring. 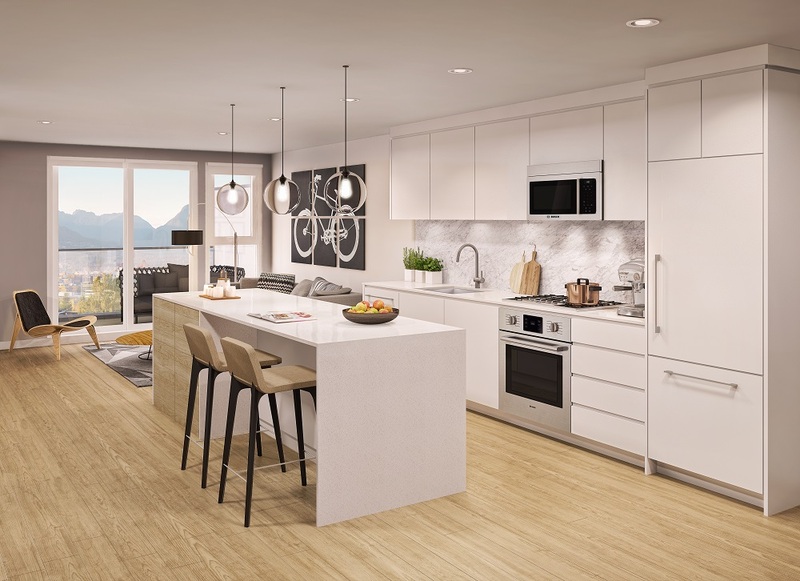 Perfect for family dinners and entertaining guests, the gourmet kitchens feature lavish islands, durable pure white quartz countertops, full-height white Carrara polished backsplashes and stainless-steel appliance packages. 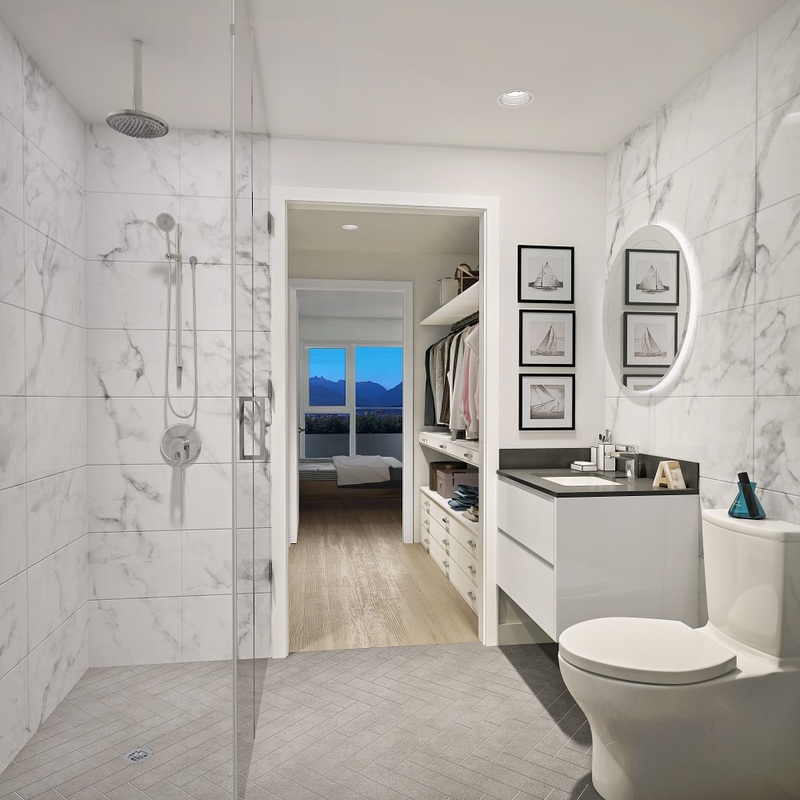 Elegance continues in the bathrooms, complete with frameless glass shower enclosures, in-floor radiant heating, deep-soaker tubs and round backlit mirrors above crisp white floating vanities. PortLiving encourages prospective buyers to visit the sales gallery located at 2207 Cambie Street in Vancouver, open Monday to Friday from noon to 5pm. Weekend appointments are available, along with private appointments during the holidays. To learn more, register here for the latest details. For more information call 604 563 3330, email info@livingmidtown.com or visit livingmidtown.com/central.